* I understand that JCTA/KEA/NEA may use automated calling techniques and/or text message me on the number provided above but will never charge for text message alerts. Carrier message and data rates may apply to such alerts. I agree to membership in the Jefferson County Teachers Association (JCTA). JCTA is recognized by the Jefferson County Board of Education as the official representative of the teachers, librarians, social workers, Speech Language Pathologist (SLP), Occupational Therapist (OT), Deaf and Hard of Hearing Teachers (DHH) , Visually Impaired Teachers (VI), and Certified Orientation-Mobility Teachers (OM) in the Jefferson County Public Schools. Membership in JCTA includes unified membership in affiliated state and national organizations, which are currently the Kentucky Education Association (KEA) and the National Education Association (NEA), and also includes a voluntary contribution for Better Schools Kentucky, a JCTA committee that advocates for children, teachers, and public education in the areas of public policy and elections. I understand that my JCTA membership and/or my BSK membership can be canceled by providing written notice to JCTA at 1941 Bishop Lane, Suite 300, Louisville, KY 40218. 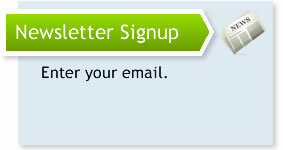 I understand that I will be a member of BSK unless I check the box below. Further, I understand that by checking the box I will not be a member of BSK and waive my right to vote in BSK decisions and elections. 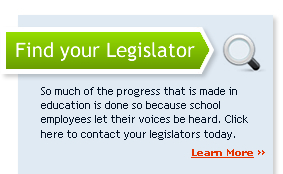 I do not wish to help advocate for education in Kentucky as part of BSK. If the JCTA elects to collect fees and contributions by an automatic deduction from my bank account (electronic funds transfer or "EFT"), I authorize my employer, the Jefferson County Public Schools (JCPS), to provide, without any additional authorization from me, my then-current bank account routing information to JCTA or to JCTAï¿½s designated financial institution for the sole purpose of paying my membership dues, fees, and assessments, and my contribution to Better Schools Kentucky (BSK), from my bank account. This authorization to release my bank account information is for one year but will automatically renew on an annual basis until I cancel it or I cease my employment with JCPS. My dues, fees and other assessments will be transmitted and paid in equal installments over twenty (20) consecutive pay periods, beginning with the first pay period in September and ending on the 20th pay period thereafter. I fully understand that my annual dues, fees, and assessments required for membership are based on teacher compensation and are subject to periodic change by the governing bodies of the subject associations, and hereby authorize the payment of such modified dues, fees, and assessments (whether by payroll deduction or by EFT) established by the governing bodies of the JCTA and its affiliated associations. I hereby consent to such increased dues, and waive any requirements of notice, as long as such aggregate increase in annual dues, fees, and assessments is no more than 5%. I further understand that if such aggregate annual increase is scheduled to exceed 5%, I will be given at least thirty (30) days written notice of such increase and an option for me to withdraw my membership. This authorization continues from year to year unless (a) I revoke this authorization in a signed writing sent to the Association; (b) I am no longer a member of the JCTA bargaining unit; or (c) in the case of EFT, I elect to terminate such payments. I hereby acknowledge that I have read and agree to Parts 1, 2, and 3 above. **The Association cannot unilaterally implement EFT without the district's agreement or a triggering event at the state level. Either JCPS and JCTA would have to mutually agree to do so or the current payroll deduction process would have to be disrupted by the state.